The best movie soundtracks can affect you regardless of the actual film they are attached to. Whitney Houston’s version of “I Will Always Love You” would not exist without its place in “The Bodyguard,” a movie that is nowhere near as popular as its soundtrack. Similarly, there’s an entire generation of young adults who hear “I Believe I Can Fly” by R. Kelly and immediately think of Space Jam, a movie that most of the population under the age of 20 hasn’t even seen. And let’s not forget Justin Bieber’s “Never Say Never,” a ridiculously popular—and also insanely bad—song released along with Jaden Smith’s cinematic masterpiece “The Karate Kid.” Not coincidentally, all of these standouts shared a common trait: a star artist who could attract the attention of a mainstream audience. Marvel’s “The Black Panther” has been one of 2018’s most anticipated movies since it was announced in 2017, and this excitement doubled when it was announced that Kendrick Lamar and TDE would executive produce the accompanying soundtrack. This collaboration—the current face of rap music and a film studio owned by Disney—was a risky move from the beginning. Kendrick Lamar’s legacy is one of creativity, ambition, and honesty. On his own, Kendrick has continued to introduce new and exciting additions to the world of hip hop. He’s a testament to what can happen when new and exciting concepts are perfectly executed. Disney/Marvel on the other hand, have continued to do things differently, but are only just now giving their first black superhero the spotlight. Despite the unlikelihood of this combination, the two are actually a better fit than many imagined. Kendrick Lamar is the King of Rap right now. Yes I said it and no there is no debating it. You can’t debate me on this because it’s a fact and facts are not debatable. The Black Panther is about T’Challa, the King of Wakanda as he fights to defend not only his position as king, but his people and his kingdom. With this as the background, it only makes sense that Kendrick Lamar was given the opportunity to bring the film’s soundtrack to life. The arc of his career right now is almost completely synced up with the Black Panther’s narrative, and he has no problem acknowledging it. “King of the culture, king of the soldiers, king of the bloodshed” he raps on the opening tack, doubling up his flow until the line separating him from the King of Wakanda is too blurred to recognize. It’s no coincidence that he slips out of character to call out “King Kendrick” before reversing course and identifying himself as T’Challa. Time after time, Kendrick takes advantage of the album’s Black Panther theme and uses it to remind us of his greatness. But Kendrick isn’t the only one using the album to spotlight his strengths. Although he is uncredited on many of the tracks, Kendrick’s voice is unmistakably weaved into the fiber of each and every track. Throughout the album, each and every guest proves their worth. This is helped by the fact that Kendrick never passes up the opportunity to connect unlikely collaborators. Travis Scott brings his best on “Big Shot,” surfing over the beat with one of his best features in months. Zacari’s vocals come through strong on “Redemption.” Early standout, “The Ways” is one of the album’s best songs, combining the mellow vocals of Khalid with a hypnotizing falsetto from Rae Sremmurd’s Swae Lee. Later on, rap powerhouses like Future, Kendrick, and Jay Rock combine with the show stopping downtempo of James Blake for “King’s Dead.” The best part of these features is that they work because of, not in spite of each other. Anderson .Paak’s signature vocals tee up Ab Soul’s a verse on “Bloody Waters” perfectly, while ScHoolboy Q’s reckless contribution to “X” paints the final target for 2 Chainz to shoot down. On the track “Paramedic,” the Vallejo group SOB x RBE work in perfect harmony, attacking the beat at every turn as they race through the most exciting song on the soundtrack. Each and every collaboration holds up in part, because of the energy being supplied by Kendrick. Whether it’s an entire verse, a hook, or just a few ad libs, the album’s strongest moments can always be traced back to King Kendrick. That’s not to say the album is perfect. One of the biggest difficulties when it comes to producing a soundtrack can be the restrained feeling of the subject matter. The songs need to remain connected to the film while also feeling like they can work as individual creations, but this particular soundtrack is at its best when it strays from this mold. The themes of the movie sometimes act as an obstacle, and that is where this soundtrack falls short. Songs like “Pray For Me” are clearly meant of this film, without offering much else in terms of excitement or creativity. What could be an exciting end to the soundtrack, instead feels like a leftover offering from The Weeknd’s “Starboy” album. Similarly, “Opps” also feels sluggish compared to what we usually get from Vince Staples. The instrumental resembles something from “Big Fish Theory” but the humor and delivery that set Staples apart from his peers are barely recognizable here. Kendrick’s label mate SZA does her best to save “All The Stars,” but it mostly falls short of what the two have been able to create in past songs. This isn’t to say that they are bad songs, just underwhelming. Despite its shortcomings as an album, this soundtrack is still one of stronger collaborations in its genre to come out in recent memory. It plays to its strengths while still holding onto the thread of The Black Panther. The features are bold and exciting and the themes never let you forget that there is a movie attached to these songs. 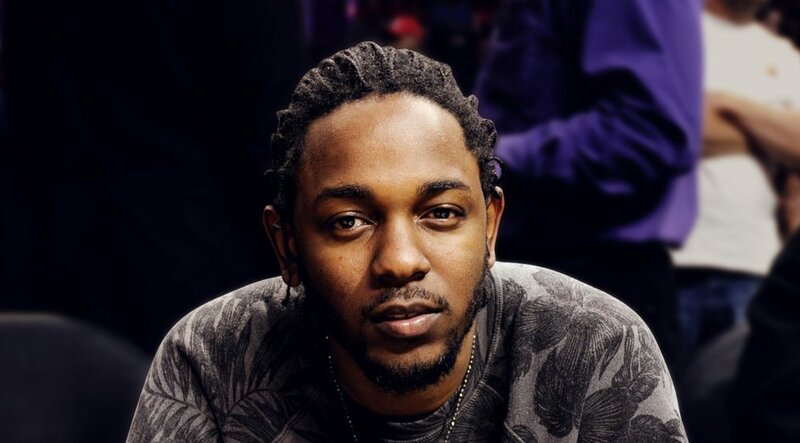 After the release of the soundtrack Kendrick Lamar tweeted, “The concept of producing and composing a project other than my own has always been ideal.” Although this was technically a project other than his own Kendrick still delivered a vision that is unapologetically and unmistakably his. It reflects the strengths of The Black Panther just as much as it reflects his own talents. Every part of this album leads back to him and acts as proof that he was the perfect person to bring this idea to life. All hail the king.